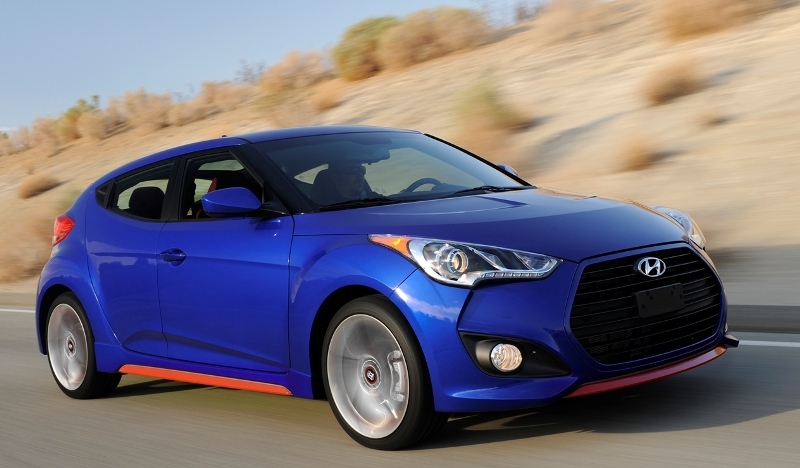 The Veloster has been a big hit for Hyundai, which has the Korean automaker exploring a new customer base with the 2014 Veloster Turbo R-Spec. 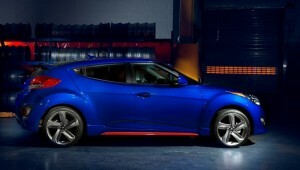 The Veloster will follow the path of other Hyundai R-Spec models by delivering affordability over higher performance. Hyundai believes that there is a very definite group of users who will be happy with a de-contented version of the Veloster that is open to tuning for performance. They would not necessarily be interested in the higher spec comfort that they would get with a standard Veloster Turbo. 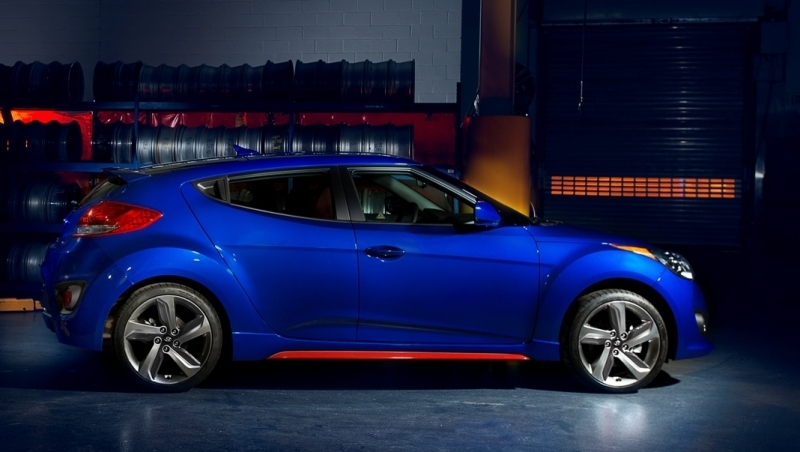 The 2014 Hyundai Veloster R-Spec comes with a turbocharged 1.6-liter engine that delivers 201 horsepower and 195 pound-feet of torque, whilst also getting some rather cool visual updates. Those include optional red accents and front splitter, with standard design features including an exclusive interior and R-Spec badges. There are 4 different paint jobs available on the R-Spec model: Marathon Blue, Sprint Gray (exclusive to the R-Spec), Elite White and Ultra Black. Other upgrades that improve functionality include a B&M Racing sport shifter, higher front and rear spring rates, a stiffer transmission mount and revised steering tuning for a heavier feel. In order to reduce weight and keep costs as low as possible, a few standard features found on the standard Veloster Turbo have been removed. Those includes items such as the electroluminescent instrument cluster, push button start and proximity key, heated leather seats, side turn mirror signals, driver’s auto-up window and the glossy black interior accent pieces. There has still been no announcement as to the official pricing of the Turbo R-Spec, but if you look at what Hyundai did with the Genesis Coupe R-Spec. You would have to think that the cost would come in at around $20,000.